As lighting consultants, we understand that the inherent function of lighting is to provide illumination for every room in your home. Each room has its own niche function, therefore your choice in lighting fixtures should support and enhance those features. From shaving, makeup application and grooming to your last private retreat, your bathroom serves many purposes. 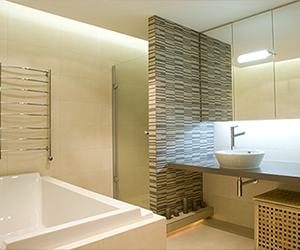 You need bathroom lighting that is bright, flattering, and shadow-free but at the same time relaxed and ambient. Where mirror and theatrical lighting can provide the functional brilliance you need, overhead and accent lighting can add the warm appeal you’re looking for, creating a true spa experience. Subdued, romantic, and overall relaxing, the atmosphere of your bedroom should be enhanced by your contemporary lighting, but never overpowered by bright, harsh lights. 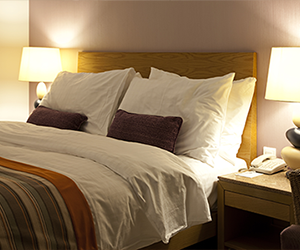 When designing your bedroom lighting layout, keep in mind your lifestyle and bedtime habits. Do you prefer to read before you drift off, or is your bedroom kept as a private oasis where sleep reigns as king? Offering a number of task lighting options through wall sconces and overhead ceiling fans for ambiance and climate control, we can help you determine the perfect lighting design for each of your bedrooms. Billows Lighting Design Center offers so much more than your average ceiling fan or dining room chandelier. Our dining room options allow you to spotlight art and decor items, and at the same time illuminate eating and task areas. Combining accent lighting over a buffet, credenza or bar with under–cabinet lighting in a favorite china cabinet or hutch, can create an inviting, warm ambience fit for any guest or family member. 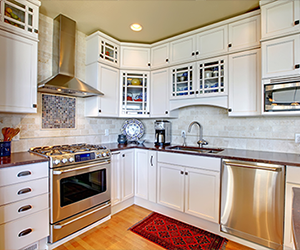 Shared living spaces in your home can serve a multitude of purposes. 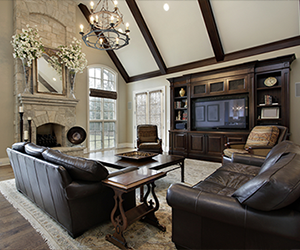 From the formal living room to the family den or basement, the lighting helps determine the feel and mood for every function. 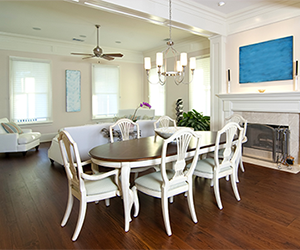 When choosing the right lighting, it’s best to have overhead and spot lighting for plants, art and decor as well as fireplaces, bars and reading areas, combined with table and floor lamps for corners or seating areas. Not only does outdoor and landscape lighting provide safety and security for you and your family, it can be used quite creatively to highlight the best areas of your porch, patio and landscape. 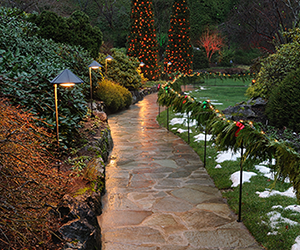 With a wide selection of outdoor lighting options, including wall-mounted sconces, hanging lights, posts and path lights, we provide superior quality as well as fair pricing. Discover the beauty of your outdoor areas with a combination of the best in outdoor lighting.